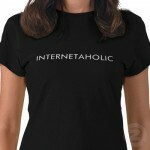 stressaholic, depressaholic, now we have the internetaholic what’s next? Outofspaceaholics??? ?